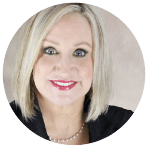 Teresa Rahaim, BS, licensed aesthetician, is a native of the Hattiesburg area and a 20-year veteran of the medical community. She obtained a Bachelor of Science degree from William Carey University before attending the Mississippi Institute of Aesthetics. She graduated at the top of her class as a licensed aesthetician and has acquired multiple certifications in skin therapy and advanced product training.